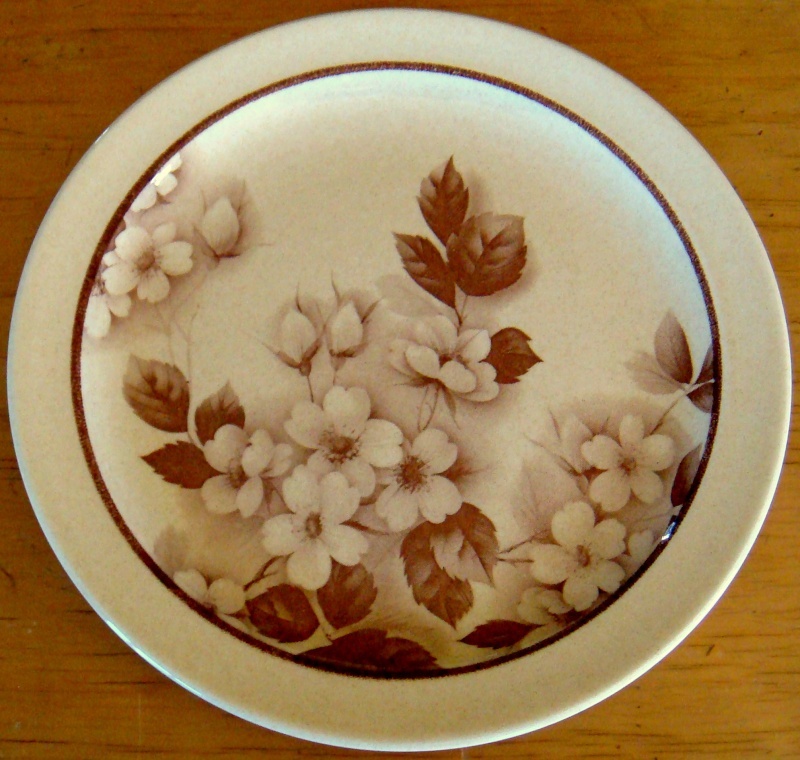 What Crown Lynn Tableware Patterns do you think are the most popular? Just about every pattern that Crown Lynn made has it's followers. But what do you think should be in the Top 10 favourites? 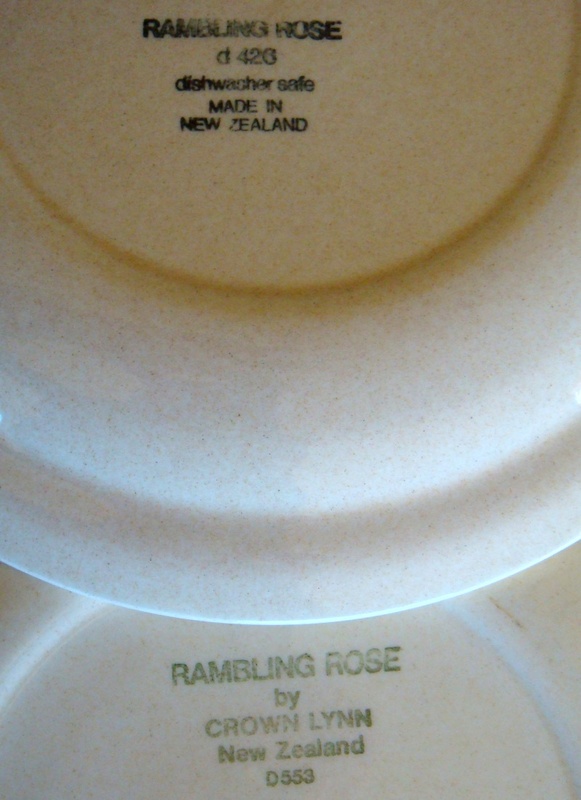 Re: What Crown Lynn Tableware Patterns do you think are the most popular? the rare stuff like downtown when it surfaces is very popular. Ah, Echo and Egmont are quite popular but they aren't as rare as other patterns. Love the Vintage and Autumn Splendour (I like to think of them as my Summer and Winter sets). And quite surprised how much my mother loves collecting Heritage, Homestyle and Blue Willow. Air New Zealand [turquoise] !!!!! Bora Bora is snapped up when listed so that will have to be added ! I really want to add Neptune ..... as once again I see red flags ... but DaSiEm's didn't fare well ?? Not many votes or suggestions .... nevermind this still interests me! Whilst it may not be considered a pattern it was the range that started me on this hobby and I see that on page 120 of Monk it was rated as the best ever selling line for CL in Australia and was 'snapped up' by NZ buyers in 1976 when it was first released. Can we have Pioneer in the top 40 please? and I'm adding Harvest as well. Gee it is really difficult to choose a favourite. I am of course biased because I have used homestyle as my main set since 1988! I just get a few more pieces whenever i see them in shops. I also have bits of Landscape, colourglaze, apollo, to name a few. Colourglaze is the one I nominated because they brought out some really nice colours and it is almost impossible to find anywhere now. I have some small cups and saucers with IGA on them plus a few other bits. Snaffled a pale green plate from daughters place last week. I haven't added my personal favourite Herald from 1982 yet, because if I had to choose all over again, I wouldn't be able to, as there are too many gorgeous choices! Just added Lilac [Forma colourglaze] to the list. I am SO interested in this poll, do keep it going as long as you can Ev. But the tricky variable is supply and demand - the rare patterns eg Bora Bora get snapped up because besides being really cool they hardly ever turn up for sale.. but does that Bora Bora more popular than (eg) Echo which is very common. You won't get a bidding war over Echo but it is remembered with affection by so many of us. Mum can we have a pic of rambling rose.. I have no idea what it looks like. We had Rambling Rose when I was growing up. We have 44 favourite patterns now. When we reach 50 I will make a new Poll to see which of those are the most popular.